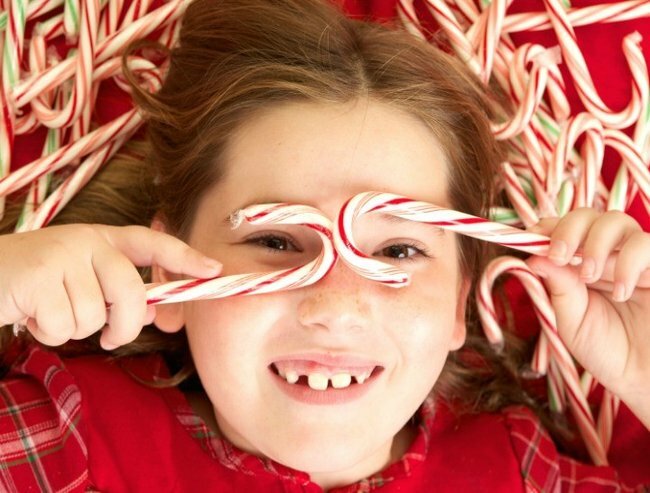 Schools around Australia are banning candy canes. "If it bothers you, forgive me, but my kids will be handing out candy canes." Today I bought 40 brightly striped candy canes. They are each wrapped in a twist of clear cellophane and throw off that sweet Christmassy-pepperminty scent. They are small, surgery, delightfully festive and they are coming your way. Each one to be tucked up neatly in a small card that my six-year-old has diligently written to all of the 20 children in his class. His eight-year-old brother did the same. His handwriting is more of a scrawl (and I think he may have eaten a candy cane or two while he was packaging up his bounty). But there they are all the same. Nestled in the bottom of two slightly mouldy school bags to be handed out one-by-one to the friends who shared my sons’ year at school. I know that these days, the innocent candy cane is a fairly contentious issue this time of year. That in the coming week there will no doubt be a newspaper article or two about the many, many schools that ban the handing out of candy canes. "I know that these days, the innocent candy cane is a fairly contentious issue this time of year." Image via iStock. I know that some parents will glimpse inside their children’s bags at the end of the day and upon finding a mushed up wad of lolly wrappers will raise their eyebrows to the heavens. They will berate the likes of parents like me that continue this politically incorrect tradition. But I am still doing it. You know why? Because it’s Christmas. Already the topic has made its way to the talk back radio stations of the nation with a school mother telling Brisbane’s Robin, Terry and Bon on 97.3 that she was shocked to find out her school bans candy canes as it doesn’t meet the child&apos;s school&apos;s "healthy eating guidelines." Her school is far from the minority. There are many schools right around the country that have strict guidelines in place at Christmas. "No handing out candy canes." Our school doesn&apos;t have the hard and fast rule in place, though I am sure that in the future it will be discussed. The reason is worthwhile, sure. We all want our children to be healthier and we all want to get the nation&apos;s obesity crisis under control. But can’t we do this at another time of the year? No child is ever really going to get given 20 (or 30 as you hear some people say) candy canes. Not all children hand them out. So don&apos;t believe the hype on that one. "Handing out candy canes is not a ploy to make your child obese." Image via iStock. They don’t get them at once; it’s a slow, steady dribble of brightly coloured sugar over about two weeks. Each 5-6cm candy cane contains about two teaspoons of sugar. A couple over a week is the equivalent of drinking a glass of apple juice. Parents can actually teach their kids not to eat the things and to bring them home for the “lolly-jar”. Parents have the ability to say to their child, "when you get handed sweets at school put them in your bag and bring them home and we will discuss which ones you can eat." "Find me a child that has ever actually eaten a whole one of those sticky, messy and sharp tasting things anyway." Image via iStock. Find me a child that has ever actually eaten a whole one of those sticky, messy and sharp tasting things anyway. They give them a quick lick and chuck the rest in their pocket for mum to find glued to the bottom of the washing machine. It’s Christmas. It’s about giving and receiving. It’s about traditions and kindness. It’s about food and festivities. Handing out candy canes is not a ploy to make your child obese or to line the purses of the lolly or sugar manufacturers of the world. It’s not mean to harm or insult. It simply about children and Christmas, the feeling of pride a six-year-old boy gets from reaching into a bag of gifts for his newly made friends. The excitement of opening a scuffed half torn envelope with a broken candy cane inside. The feeling of being a part of a school community that you feel bonded to so deeply that want to give them a gift to show your love and appreciation. So if it bothers you, forgive me, but we are handing them out anyway. What do you think of the candy cane ban?